These steps should be similar on other versions of Windows, however some prerequisites may be required on older versions of Windows. If you haven’t already downloaded SQL Server 2012 Express, you can get it from Microsoft here. I downloaded the Advanced version because it includes Management Studio, although you can download that separately. To begin, launch the install program and choose the top option to install a new stand-alone installation. On the End User License Agreement page, read the license agreement, and then select I accept the licensing terms and conditions check box. Click Next. At this point you can choose the features that you want to install(mostly the features will be selected by default). Click Next to continue. 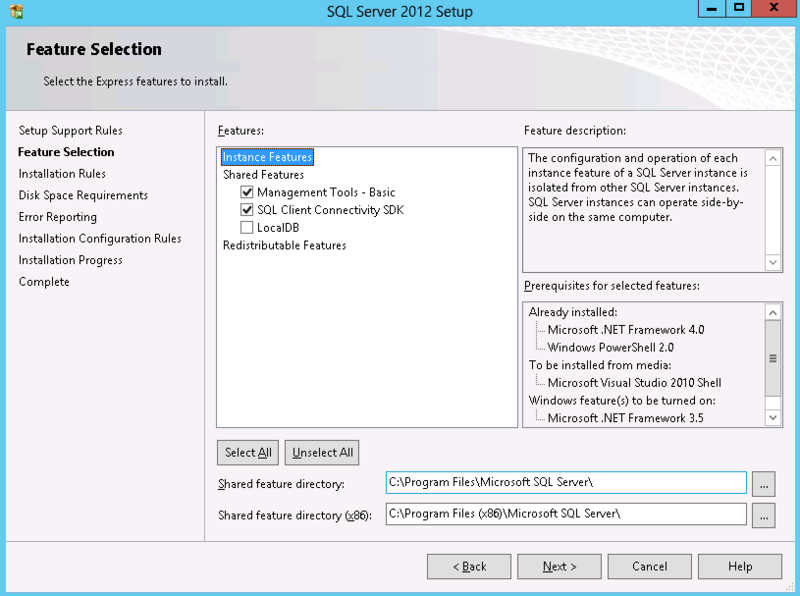 Now you can configure the SQL instance. 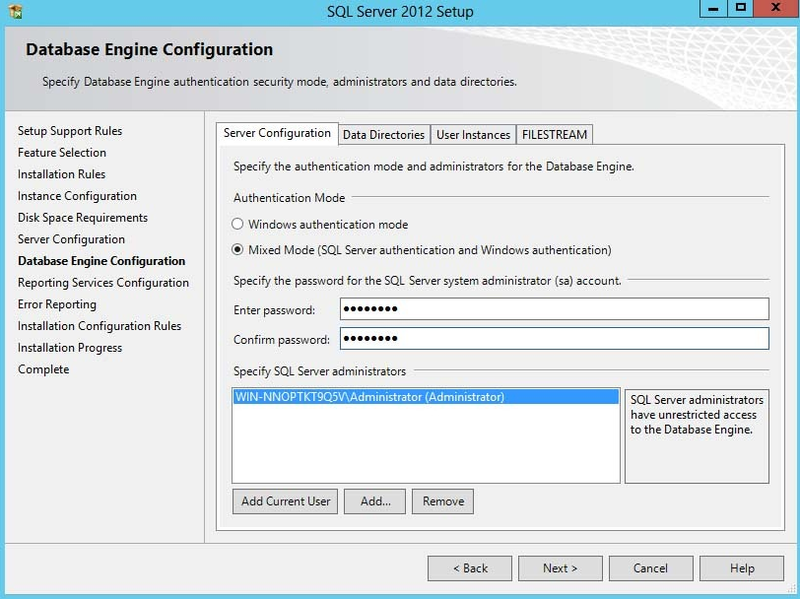 If this is the first instance of SQL Server on your computer, you probably want to change this setting to Default instance. 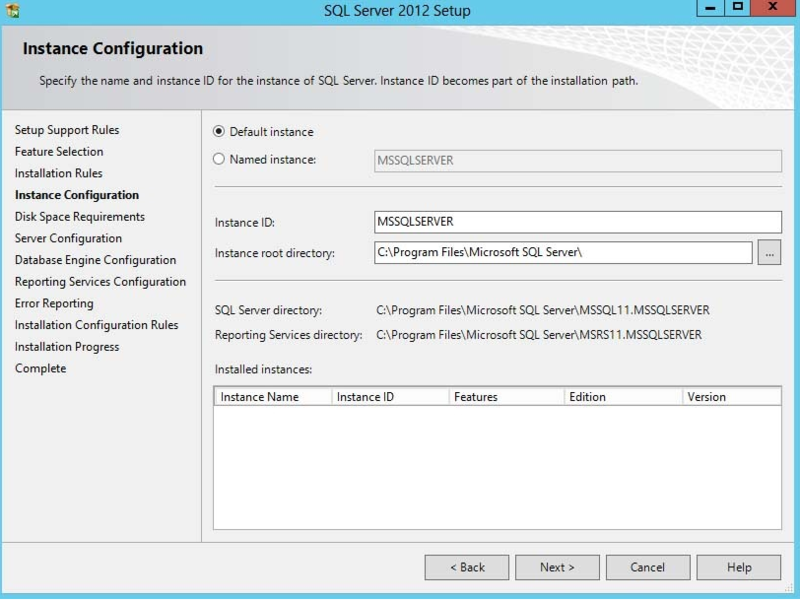 If you already have another instance of SQL Server, you will want to use Named Instance and give it a name. 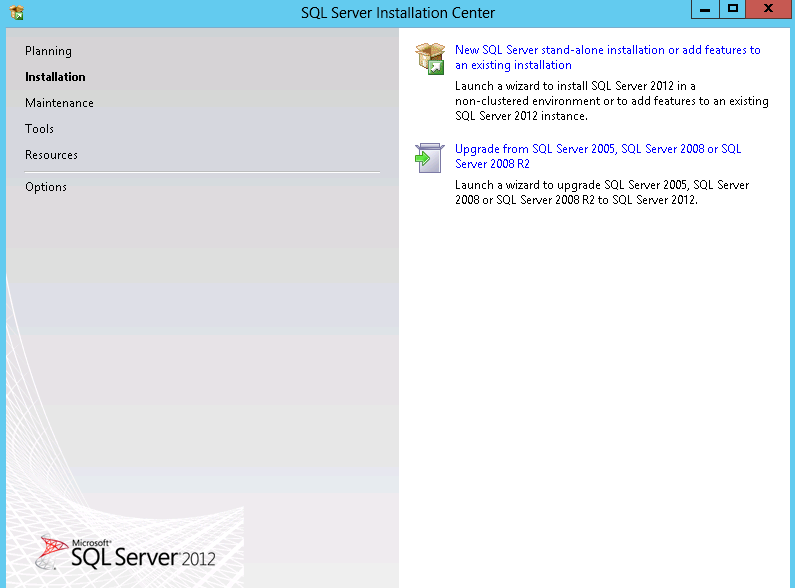 The next step is server configuration. Don't do any changes and click on Next. 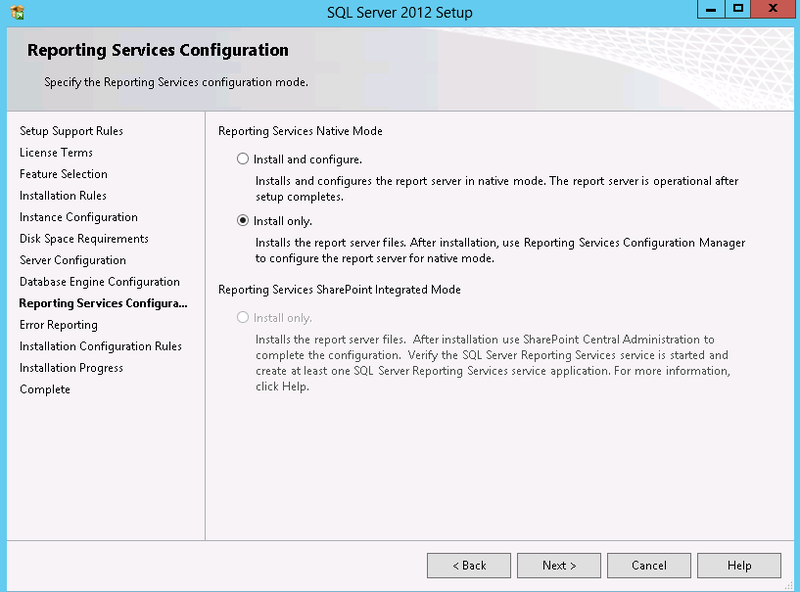 The next step configures Reporting Services. 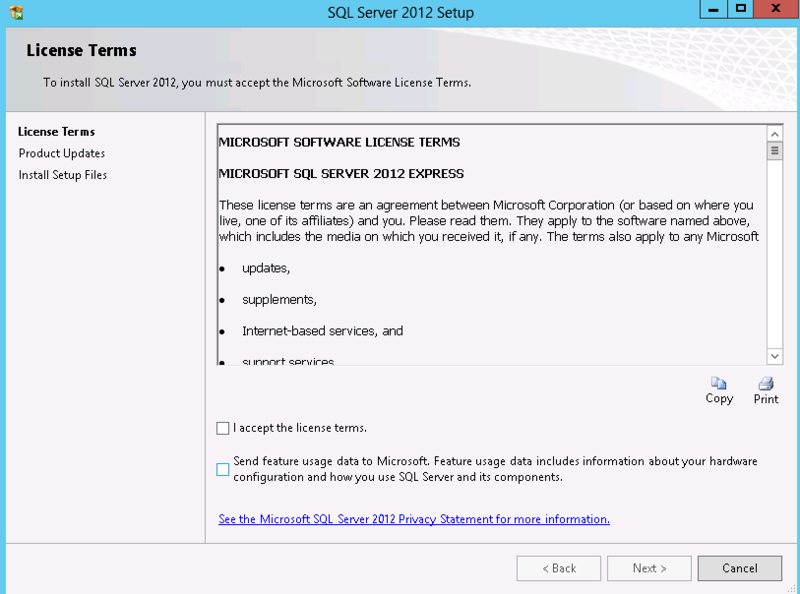 Set this to Install Only if you don’t need reporting services or may need them in the future. You can always go back and configure it later. 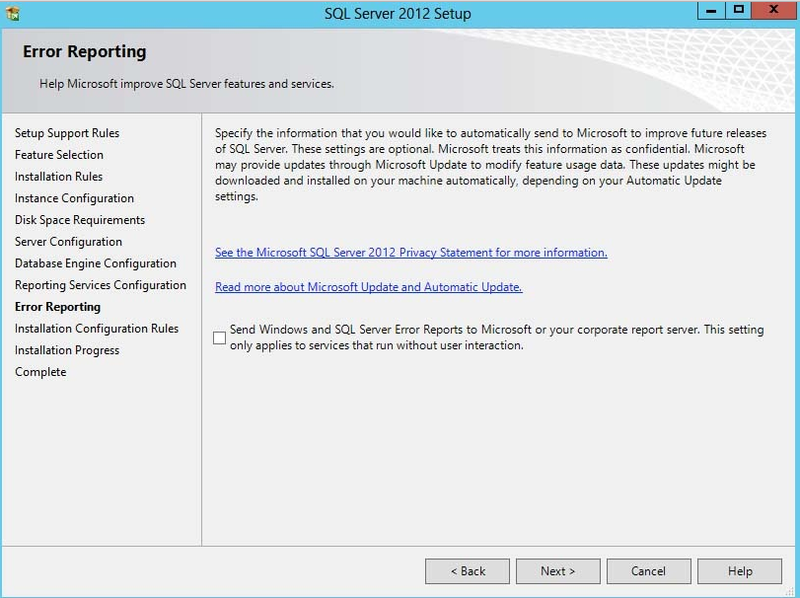 On the Error Reporting step, you can choose whether or not you would like to send error reports to Microsoft to help them improve future releases of SQL server. 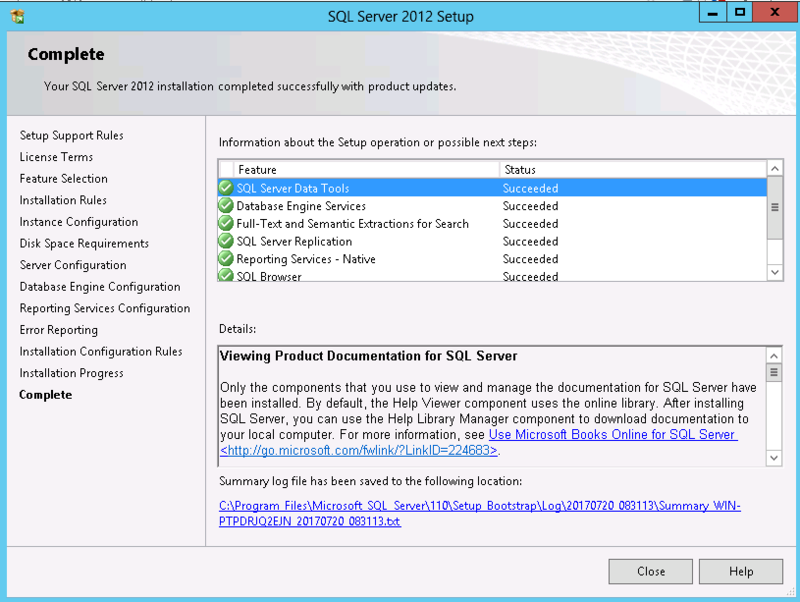 At this point, SQL server will install on your computer. This could take a while to complete. Once the installation has completed, you will receive a screen showing the details of what was completed and if there were any problems.